We welcome you to enjoy this lakefront log cabin located on the north basin of Moose Pond. Moose Pond is in the Lakes Region of Western Maine. Our cabin is situated steps away from a sandy beach on exclusive Moose Pond. You can enjoy 150ft of private water frontage. With 17 miles of shoreline, it's perfect for water sport of all kinds. The fishing is great. In fact, the Maine state record for Large Mouth Bass is from Moose Pond. There is great hiking, biking, rock climbing (N.Conway) and every type of outdoor activity you can imagine. Please consider winter rentals as well. We are only 1.5 miles away from Shawnee Peak/Pleasant Mt, a great family ski mountain. 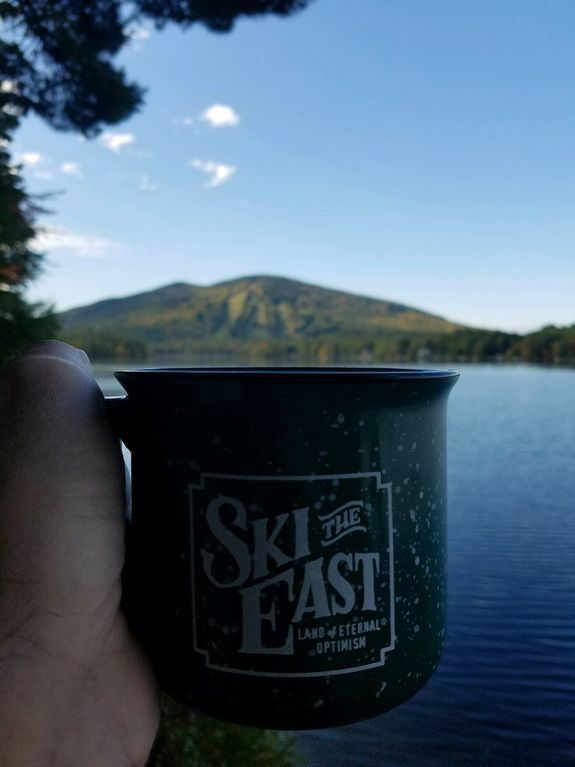 Since 1989, Shawnee Peak has been offering the most night skiing in Maine, and now with 6 lifts servicing 40 trails and two terrain parks, they offer the most night skiing in the East, hands-down. This location is also great for snowmobiling, ice fishing, snowshoeing and any other winter activities you can think of. Bridgton town center offers many close amenities, including Standard GastroPub, Black Horse Tavern, Nectar Juice Bar, Bavarian Chocolate Haus, Bear Bones Beer and Magic Lantern Theater. As well as a grocery & a pharmacy store. All the privacy you need while still in close proximity to amenties. This was our first time at the cabin, and we couldn't have had a better experience. We rented the cabin for two nights to do some skiing with our kids at Shawnee Peak. The cabin was just a few short minutes' drive from the resort, so it was very easy to shuttle back and forth as needed. The cabin itself was very cozy with a wood burning stove, clean and comfortable beds, and all the amenities we needed. The owner was very responsive to questions via email. We hope to have the chance to return to it in the future. Beautiful location and beautiful cabin, my wife and I couldn't have hoped for a better deal! Outstanding cabin on the lake. We have had a wonderful time at this place. If you like nature - it is for you. The view is unforgettable! The cabin was very clean and comfortable. Also, there was excellent fishing. Ten stars! It was everything I had hoped for, quiet, peaceful and absolutely beautiful view across to the mountain in full fall color. Without the woodburning stove, however, it was very cold in the main room. Well-stocked for all basic needs, except for a pair of scissors! Your stay was perfectly timed for foliage viewing! Thanks for letting us know the scissors are missing and for leaving the cabin immaculate! Looking forward to hosting you in the future. Very clean, simply and tastefully decorated. Breath taking views. Wonderful bon fire. Instant hot water. Great feature. Awesome cabin on the lake. Just what I was looking for, a nice place to relax. No one to bother you. Close enough to get supplies and something to eat, but far enough away to think you are totally alone.